The Egg and I at Northcross is opening Monday, January 30. The new restaurant is part of a Fort Collins, Colorado-based chain. 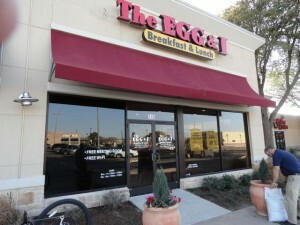 According to a Statesman article dated November 18, it will be one of three opening in Austin. The restaurant is located on the north side of the mall next to the Guitar Center. According to their website hours of operation are 6 a.m. to 2 p.m. Mon-Fri, and 7 a.m. to 2:30 p.m. Sat and Sun. Here is a link to their menu. Check it out and let us know what you think.